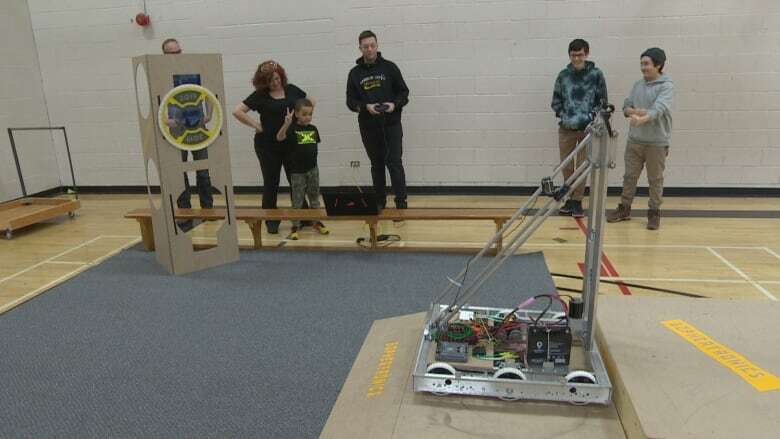 The rookie team, called “Gophertronics” (named after the school’s rodent mascot) is headed to a regional competition in North Dakota March 14-16 to compete. If they qualify, they’ll head to the international competition. “I see students picking up tools and doing things they normally wouldn’t be doing,” she says. “I have students that are very academically standing, who come and they’re like, ‘I don’t know how to use that wrench, or I’ve never used wire cutters,” she says. “We have artists on our team. We have engineers. We have metal workers, machinists, wood workers,” he says. Even though he’ll be graduating this year, Reichert says he wants to continue to mentor the team next year. “Hopefully we can grow this into a province-wide venture, and we can have many different teams across Winnipeg [and] across Manitoba that can be competing in this,” he says. The program also has practical implications for students like Natalie Gratton, who works on the team’s electrical and manufacturing side. “I want to be a line woman when I grow up, so learning all the electrical stuff will be really important,” she says. Gratton says while friends are surprised she’s devoting weekends, lunch breaks, and after school time to building a robot, she’s loving it.